You apply for a non-recourse loan, you get approved, you purchase your rental property — you’re well on your way to becoming a successful property owner! As set up as you might feel, however, there are a number of details to consider before you start renting out the place. One of those is figuring out if you’ll allow pets on the premises. As your non-recourse loan lenders of choice, First Western Federal Savings Bank will happily offer you any financial advice or assistance when you’re applying for a rental property loan. But we also like to help property investors think about some of the finer details when making this type of investment. One of these important details to consider revolves around everyone’s favorite four-legged creatures: pets. In today’s post, our non-recourse lenders will dive into the pros and cons of allowing animals at your rental property. Stay tuned, and contact First Western Federal Savings Bank to start the non-recourse loan application process! Many apartments allow pets in this day and age, usually with an additional monthly fee or initial deposit. 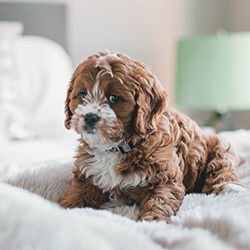 There are several benefits that you (and your tenant) can experience by allowing pets in your property. Did you know that the majority of American households own pets? More than two-thirds of the country have some sort of pet living in their home. If you close off renting to people with pets, this closes off a big portion of the pool of potential renters. We’ve heard countless stories from rental property owners who didn’t get their place leased out for weeks, even months in some cases, solely because they didn’t allow pets. Allowing for pets gives you plenty more tenants to choose from. If you have a hard time finding renters, you risk losing out on a steady, reliable source of income. A rental property that’s just sitting there for months with no renters in sight is losing you money, and is detrimental to your investment. Additionally, some would argue that even if you accrued a few hundred dollars in damage from the pet in question, it’s still a better financial deal than missing out on a month or so of incoming rent payments. Not to mention, tenants can usually be held liable for the damage, and it could come out of their security deposit, meaning you wouldn’t actually have to pay for the damage. 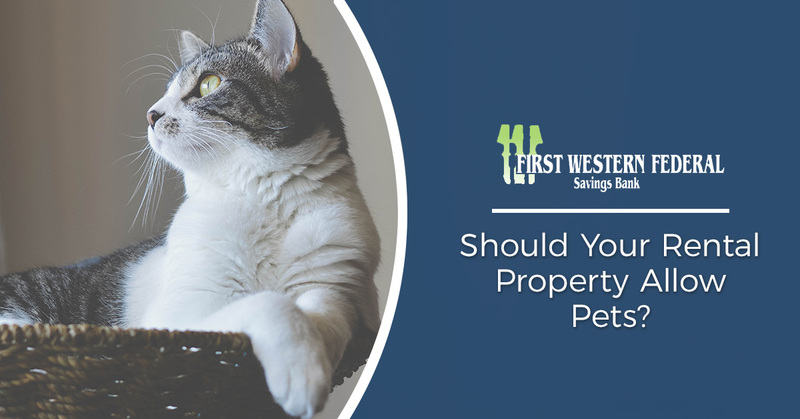 Would you rather have a messy tenant who doesn’t take care of themselves or your property, or a perfect tenant who looks after their extremely docile dog or calm cat? Even without allowing pets, you still run the risk of having a tenant who incurs costly repairs and expenses to your property. Often rental property owners will charge a small monthly fee, or a one-time pet fee that’s added to the security deposit. While cleaning charges usually are needed by the time the tenant moves out, most of the time, you won’t have to deal with a lot of damage (depending on the animal, tenant, and how well-trained and old the animal is). When the proper expectations are set and included in the lease, the tenant themselves is usually responsible for any damages that might happen. This means that you might not actually end up losing any money, and in some cases, you might end up walking away with a small profit. It shouldn’t be counted on, but it’s a definite bonus when it happens. No matter what your policy is on allowing pets, you should know that you are required to allow service animals if your tenant requires one. Additionally, you will not be allowed to charge a pet fee for service animals, because service animals are technically not “pets” — they’re working animals. In our next blog, we’ll go through the cons of allowing pets in your rental property. In the meantime, remember to work with First Western Federal Savings Bank for non-recourse loans, refinancing options, purchasing rental properties, and so much more. As always, feel free to visit our FAQ page with any questions you might have, or feel free to give us a call! Stay tuned for our next blog until then.